Kellogg Community College will host two Spring Break robotics camps for youth in grades six through nine next month, including one for girls only. Details about each camp are below. In this hands-on camp, students will use Lego Mindstorms kits to design and build robots that can explore a modeled Mars landscape. By navigating their robot through a variety of challenges, students will explore an environment typical to that on Mars and compete to see which teams are successful in completing their mission. This camp will cover topics including robotic designs useful for exploration, engineering for extreme environments, sensors for exploring new terrain and gearing appropriate for assigned tasks. Students will be engaged in an exciting learning experience focusing on the critical technology and design principles that can lead to the careers of tomorrow. In this girls-only camp, students will learn the basic design concepts required to create functioning robots. They will also learn about different types of robots and where they are used in the real world. During the last part of camp, students will be introduced to Lego Mindstorms sets and will have the opportunity to design and build robots that can perform certain tasks to complete challenges. This camp will engage girls in an exciting learning experience focusing on the critical technology and design principles that can lead to the careers of tomorrow. Both camps will be held at KCC’s Regional Manufacturing Technology Center, 405 Hill Brady Road, Battle Creek. The cost for each camp is $125; space is limited and will be granted on a first-come, first-served basis. To register, call 269-965-4137 or email rmtc@kellogg.edu. 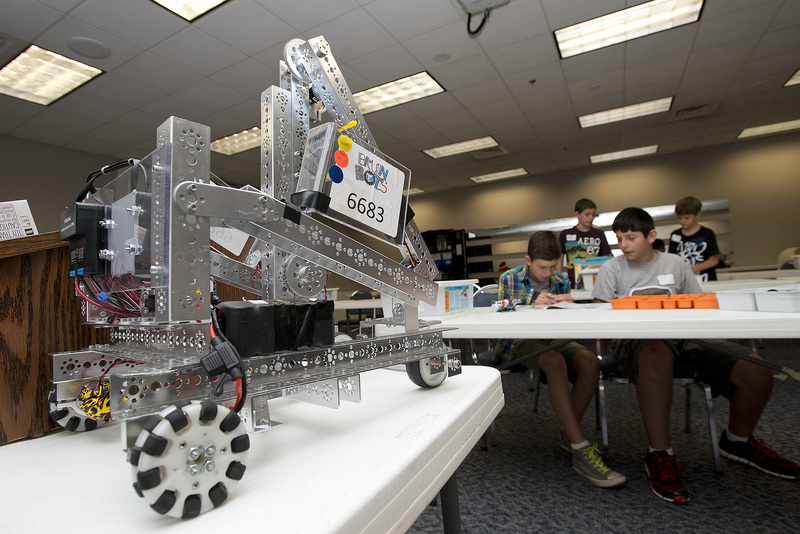 The Spring Break camps are one part of an expanding youth robotics initiative at KCC that includes Bruin Bots robotics team competitions each fall and offerings of engineering and robotics camps each summer.